Take a walk down the 18th Fairway at Pebble Beach and you’ll find the Bubble Bar at the 18th tee. The open-air deck offers incredible views of golf and the stunning Pebble Beach coastline. Champagne, wine, beer, and specialty snacks are available for purchase. 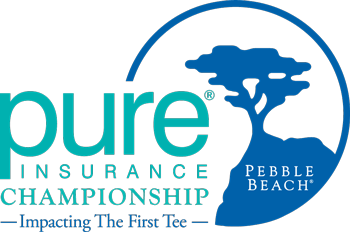 Pebble Beach Golf Links | Thursday, Sept. 26 at 3:00 p.m.
Six teams consisting of one PGA TOUR Champions player paired with a junior player from The First Tee. Teams compete for a $100,000 charity scholarship fund benefiting juniors from The Frist Tee during a modified Scotch, alternate-shot format on holes 1, 2, 3, 17 and 18. The Patriots Deck is a raised platform overlooking the 17th tee at Pebble Bach Golf Link. Current and past service members may show ID at the deck to receive a 50% discount on food at the nearby 4th tee concession.